SEO, Search Engine Optimization, has grown to be a huge industry as companies invest in the development of a website – and then want their website found through organic searches conducted via services like Google, Yahoo, and Bing. Just as business owners want to assure their website is shown in a search, the search engines are constantly evolving their algorithms to counter what Google in 2012 described as “the over-optimization” of some websites. In the latest changes made to the Google algorithm in the spring of 2012, websites that were over-optimized were subject to penalties – meaning they were moved further down the list. Also, many websites that engaged paid services to increase their “backlinks”, used redundant copy from other websites, or established multiple domains for a single entity might also find themselves penalized. 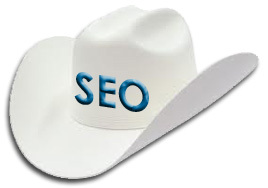 Cicero Designs has always worn “the white hat” when optimizing a website for search engines, so clients never have to fear that their website will be penalized by companies like Google. We optimize websites, and develop individual strategies for clients, that build on the best practices provided by the major search engines. Cicero Designs also offers services regarding “content development”. Content is the actual text that is found on a website, and “content is king” has been a catch phrase for many years – but the continued advancement of the search engine algorithms is making this aspect of your website even more critical. Search engines have customers, just like businesses have customers, and places like Google are working to provide the best service they can. Cicero Designs works to optimize your website according to what Google is looking for….and not tricks that can potentially do damage to your standings.